Mosaic exists to help students find and follow Jesus. We seek to provide a safe and fun environment for Middle School and High School students to discover the grace and purpose found in Jesus, and to grow in relationship with Him and with each other. 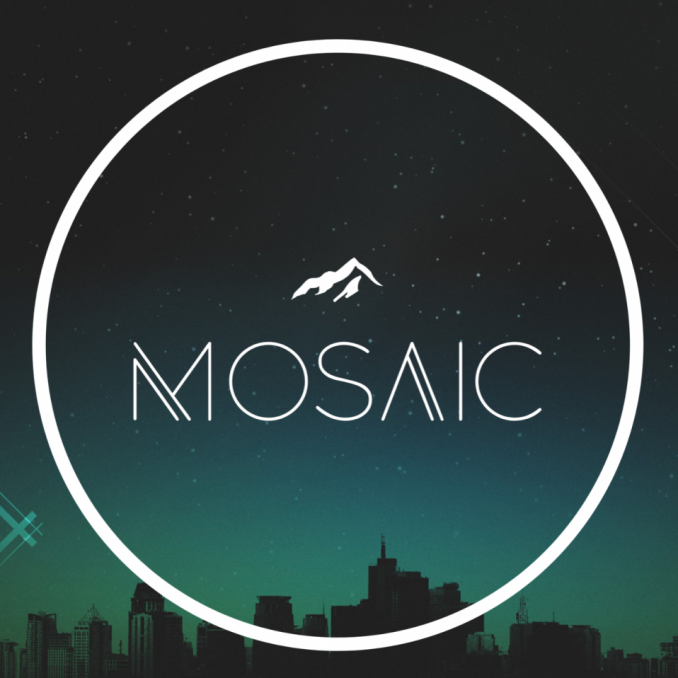 Mosaic meets onWednesday nights from 7:00 pm - 8:15 pm in the Lower Building. - Based off of the book Crazy Love by Francis Chan, we will dig into the topics like the CRAZY love of God, the profile of the lukewarm, stop praying, serving leftovers to a Holy God, and the profile of the obsessed. When you show up for MOSAIC, you can expect to find a loud, high energy environment. We spend the first part of the night hanging out, playing games, and getting to know one another better. We'll spend some time worshipping God in song, hearing his word through teaching, and talking about what it all means for our life in small groups. Our aim is to encourage you, challenge you to ask the big questions in your faith, and find the answers in Jesus.